I'm looking at adding A/C to our summer camping rig to make road trips more pleasant and comfortable for my wife .. and therefore more pleasant and comfortable for me. The vehicle is a 1975 VW Westfalia with a fiberglass high-roof top added. If I had the stock engine I'd be all set; buy a kit and put it in. But I re-powered the Bus n the spring of 2017 with a 1.8T built to run counterclockwise, which allows use of the 5-speed Passat FWD transaxle in a rear-engine RWD position. Works very well, I'm really happy with it and neither I nor the dozen other people I know with these engine/transmission packages have had a hint of trouble with the CCW/reverse-rotation system. I need a compressor that will be happy spinning CCW. I have the original compressor and bracket from the engine, which is a pad-mounted Zexel DCW17D tagged for R134a. I've also got an ear-mount Sanden SD508 tagged for R12 I could adapt with a modified York>Sanden bracket and a serpentine clutch pulley. I've seen that the SD508 can handle CCW operation making it the logical choice. I've also noticed the Sanden SD7V16 used in the 2000-2010 era Golf seems to be capable of CCW -- the diesel serpentine belt routing results in CCW rotation, and the diesel uses the same compressor as the gas engines with CW rotation -- though the mounting would take some work with that one, and I'm not sure at all about the variable-displacement part. I haven't been able to find much information on my existing Zexel compressor about whether it would be OK with CCW operation, though the pictures and diagrams don't make it look much different than the SD508 internally. Are there other or better compressors available for what I need? Space constraints in the engine compartment don't give me any flexibility with compressor mounting location other than OEM location on the block, and I don't think I could stuff an old-school York compressor in there either. As far as the rest of the parts I'm leaning toward the ICE AC system because they use a reproduction of the original-aftermarket underdash evaporator unit and modern parallel-flow condensers, and running R134a, but I'm also open to suggestions on that front. I was looking at the belt routing on the Sanden that is in my 1999 Beetle 2.0 and it runs CCW. It works great. I'd like to know more about that reverse rotation engine. Have any links to websites? B series Honda engines run CCW, so anything that was used with that engine would work. Quickest summary of the reverse-rotation engine is http://www.flinteuropean.com/project/re ... e-project/, and there's a link on that page to the Samba thread detailing more of the process/project. Andrew Flint (the creator) has shipped several of these engines, but I built my own using the publicly-posted information as a guide, some reading between the lines of the forum posts, and a couple of brain-picking sessions with him. 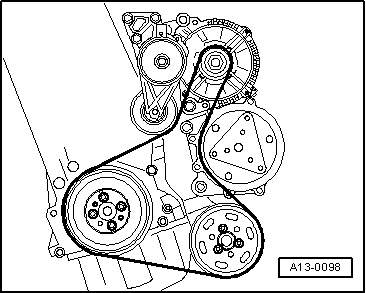 A compressor manufacturer can make a compressor rotate either direction. A specific part number for the backside drive in that VW is very likely. I get that they can be made either way. VW -- and other OEMS -- are ordering literally millions of compressors every year, so if they say "we need that compressor rotating CCW" the answer is "yes, sir!". Spent some time wandering the u-pull yards this afternoon and all the CCW Honda compressors I saw would require a lot more work to adapt the mounting than a Sanden ear mount would. With that in mind, my options seem to be the SD508 or one of the CCW SD7V16 units. Is there any advantage of one over the other? While I already have an SD508 sitting on the bench, I wouldn't be offended at buying a different one for this application. Sanden's Singapore factory makes a SD5H14 (134a version of SD508) with CCW specs. SD7V16 CCW spec is used on VW diesel CCW engines but has some past problems with frisbee clutch armature plates when the CW shaft nut unscrews due to bad torque, surface finish or shaft spline loosness. Standard SD508 is extremely noisy when used on CCW Hondas but durability is acceptable. Went with an SD7V16 spec'd for an '01-'03 Eurovan, Sanden #1222. It has enough ears I can mount it with the oil plug clocked at about the 2:45 position using a slightly modified Sanden>York mounting bracket. All of the other SD7V16's I found only have one pair of ears and mount on the opposite side of the block from where I need it, meaning either a more complex mounting solution or sitting it with the oil plug clocked at 6:00 which from everything I've learned is a no-no. I've heard varying thoughts on fixed vs. variable displacement compressors with a TXV system like I'll be using, along with many several reports of failed pressure control valves in the SD7V16. Would it be worth converting it to fixed dispacement?